Garrison, NY (USA) -- The Mind and Life Institute announced that its Summer Research Institute this week brings together leading behavioral scientists, neuroscientists and biomedical researchers with Buddhist and other contemplative scholars and practitioners to explore developments in mind, behavior and brain function study. The Mind and Life Summer Research Institute takes place from Sunday June 26 through Saturday July 2 at the Garrison Institute, in Garrison, New York. The summer forum brings accomplished leaders in science and contemplative practice together with young scholars to nurture research in vitally important areas of science. The Mind and Life Summer Research Institute consists of a week of presentations by contemplatives and science researchers on their findings and methodologies; dialogue and discussion; meditation sessions; small groups and one-on-one meetings with faculty. There will be 140 people in attendance, all selected from applications. The Mind and Life Institute, co-founded by the Dalai Lama in 1987, is a non-profit organization seeking to create a dialogue and research collaboration between modern science and Buddhism. The Mind and Life Summer Research Institute is supported by grants from the John Templeton Foundation, Lostand Foundation and the Mental Insight Foundation. Adam Engle, Chairman and co-founder of the Mind and Life Institute with the Dalai Lama, said, "The Summer Institute is an important program that hopes to advance the training of a new generation of behavioral scientists, neuroscientists, Buddhists and other contemplatives interested in exploring the influence of contemplative practice on mind, behavior, brain function, and health." Engle said the annual summer program grew out of the Institute"s public dialogues between the Dalai Lama and the scientific community. He noted that on November 8-10 in Washington, DC, the Mind and Life Institute will host "Mind & Life XIII: The Science and Clinical Applications of Mediation," a public dialogue with the Dalai Lama and leading scientists, co-sponsored by Johns Hopkins School of Medicine and Georgetown University Medical Center, at the DAR Constitution Hall. Summer Institute faculty includes scientists from Harvard University, Princeton University, University of Wisconsin at Madison, UCSF Medical Center, University of Toronto, Naropa University, Shechen Monastery, the Insight Meditation Society, Upaya Zen Center, the Santa Barbara Institute and Centering Prayer and contemplative scholars and practitioners. Senior Investigator presenters come from Brown University, Columbia University, the University of Pennsylvania, University of British Columbia, University of California-Davis and the University of Arizona. Engle said, "The summer program is based on the model developed at the Cold Springs Harbor Laboratory and nurtures dialogue to encourage and mentor young scientists to advance collaborative research of contemplative practices on the mind, behavior and brain function?all focused on building an understanding of how to create and maintain a healthy mind. 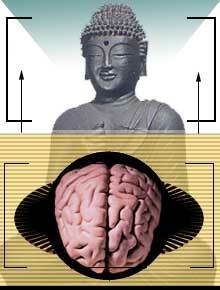 Among themes to be discussed are functional neuroimaging research regarding experience during meditation and alterations in brain function; neuroplasticity and its implications for understanding transformations in brain and behavior; affective and cognitive traits effects of meditation and methods to interrogate these changes in brain and behavior, among others. Scientific exploration and meditative practices are typical of the content. Student participants, on tuition or scholarship, include Research Fellows, such as postdoctoral fellows in behavioral science, neuroscience and biomedicine and graduate students, and Senior Investigators, primarily academic researchers at Assistant Professor level or higher. The Mind and Life Institute, based in Boulder, CO, is a 501 C3 non-profit organization co-founded in 1987 by the Dalai Lama, entrepreneur Adam Engle and an acclaimed neuroscientist, the late Franciso J. Varela, to create a rigorous dialogue and research collaboration between modern science, Buddhism and other contemplative traditions. The Mind and Life Institute operates through four divisions: Meetings and Dialogues, Publications, Scientific Education and Grants for Collaborative Research. Since 2000, the focus of MLI has been the creation of an interdisciplinary field of science that asks and answers the question: how do we create and maintain a healthy mind? For more information visit the websites, www.mindandlife.org and www.investigatingthemind.org or contact Brian Dobson at Dobson Communications at 203-894-9240.